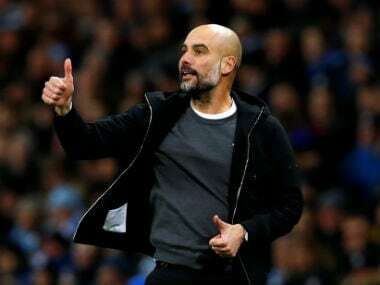 Manchester: Pep Guardiola needs a quick response from his side against Arsenal on Sunday to show that Manchester City's challenge for the Premier League title remains intact. Guardiola can be thankful City will go into the match at the Etihad Stadium only five points behind leaders Liverpool. It could well have been worse after a lethargic display brought a surprising 2-1 defeat at relegation-threatened Newcastle on Tuesday, but Jurgen Klopp's side struggled to take advantage as they were held to a 1-1 draw at home by Leicester the following night. 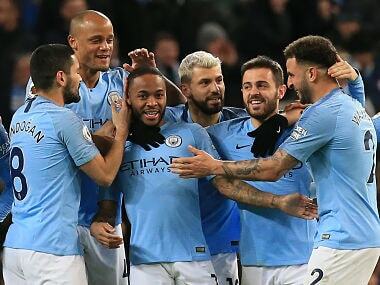 City could argue Tuesday’s defeat was a blip, given they had won their previous eight matches, but three of those victories were in cup games against lower-division opposition. A more worrying statistic for City manager Guardiola is that his team have lost four of their past nine league fixtures, and that three of those defeats have been against teams who started this weekend in the bottom half of the table. 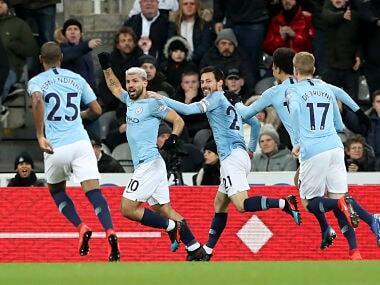 At St James’ Park, City allowed their concentration to slip after Sergio Aguero had given them a first-minute lead, and there was a strong sense they missed the leadership skills of club captain Vincent Kompany, who has made just six league starts this season because of a series of fitness problems. Without Kompany's authority, City are vulnerable to switching off, and that cost them heavily at Newcastle. They were not helped either by the tactics of their opponents, with Rafa Benitez setting up a 3-4-2-1 system that crowded the middle of the pitch and gave Fernandinho little space to operate in. The Brazilian midfielder, who has been one of City's outstanding performers this season, did not have a good night in England's northeast, clumsily conceding the penalty from which Matt Ritchie scored the home side's winner. City, though, need others around Fernandinho to be more consistent too. 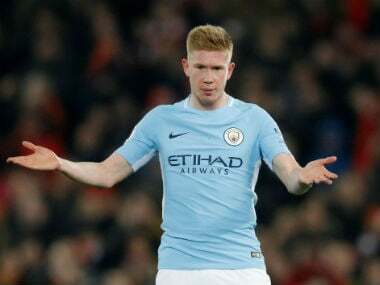 Kevin de Bruyne is one player still seeking that consistency, having so far failed to rediscover the form that made him the club's player of the year last season. De Bruyne, undoubtedly struggling as a result of a long World Cup campaign with Belgium and a series of injury problems since, made only his third league start of the season at Newcastle, and was subdued. Guardiola needs the Belgium midfielder back to his best if City are to stand any chance of catching Liverpool. But the optimistic City boss said: "If we didn’t have the motivation, we would not be where we are, which is still in all competitions. "We are in the Carabao (League) Cup final, still in the Champions League, and we are there in the league. "People were saying not so long ago that we were the perfect team. My answer is the same now as it was then: Every game is a challenge. "There are ups and downs during a season. Players cannot sustain the same level for 11 months of a season." While Guardiola did not make any major signings during January, Arsenal could give a debut to former City youth midfielder Denis Suarez, who joined on Thursday from Barcelona for the rest of the season. Manager Unai Emery is still looking for consistency from his players; a 22-match unbeaten sequence in the autumn suggested this might be a successful season, but since that run ended on December 16, Arsenal have gone out of both domestic cup competitions. Their only serious hope of a trophy is in the Europa League, a tournament in which they have largely fielded fringe players this season. Emery is aiming to make a little piece of history on Sunday; in 11 previous meetings as a manager with Guardiola, he has never won. If he were to end that run this weekend, the result would be welcomed warmly in north London, and perhaps at Anfield too.